With all this hot and stuffy weather, it’s beginning to feel like summer will go on forever, but it will soon be that time of year again – moulting season! One minute your girls will be looking their best, preening those glossy feathers and strutting about the place looking fabulous. The next thing you know, their feathers are starting to drop! Please be assured, this is completely normal and all part of the natural cycle. As the evenings start drawing in and the days become shorter this can act as a trigger for birds to start to moult. Some birds moult at the end of an egg laying cycle. Other factors can include stress, hatching eggs, lack of water and changes in the coop. 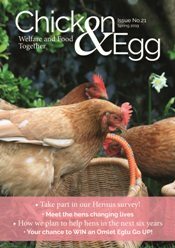 Most hens will have their first moult around the age of 18 months, and while it is usually in the autumn, some hens will buck the trend and moult in the summer. It normally takes 8-12 weeks but can last longer. 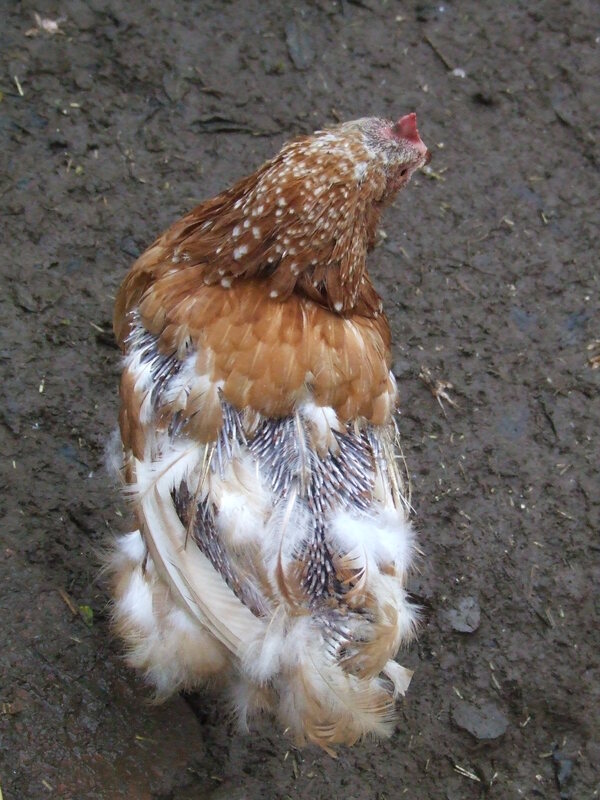 While your girls may look in a bit of a sorry state, moulting is actually good for them as it allows your hen to exchange any broken or loose feathers for new plumage to ensure she has good feather coverage during the colder months. Where feathers have been lost new pin feathers will emerge giving the appearance of a hedgehog to your already tatty hen! These pin feathers taste nice to other hens and may be plucked so take care to protect a moulting hen. We can help our hens through the process by adding extra protein and calcium to their diets (feathers are 80% protein). Switching to a higher protein feed will help. 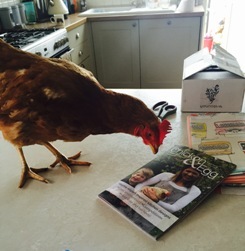 Don’t be surprised if your moulting hen goes off lay or her egg production drops. She simply can’t produce enough protein for both processes especially when a full moult takes place. Colder weather will also speed up the process of new feathers growing back, so please don’t be tempted to knit a jumper for your hen, she is quite capable of producing her own new outfit.